If a prime Soho location filled with vibrant nightlife, exquisite cuisine, and shop-’til-you-drop boutiques spark your interest, then 55 Thompson, a luxury rental located in downtown Manhattan, sets the standard for New York City living. 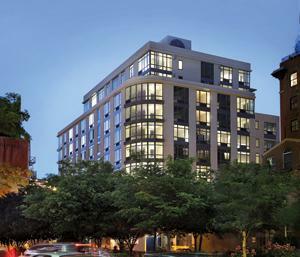 These flats for rent feature residence features and building amenities that match the quality of a five-star hotel. Originally home to New York City’s first indoor garage, 55 Thompson now boasts an innovative building structure, composed of three stories and 38 units. 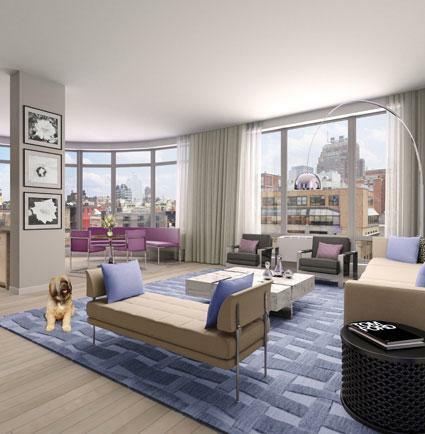 The unique floor plans, versatile living finishes, and many amenities showcase some of the finest in modern living, setting the 55 Thompson condominiums high among New York rental apartments. Starting with the living areas, the open spaces and floor to ceiling windows will reward residents with breathtaking views. Many apartments feature gas fireplaces and private balconies, while top floor penthouses include highly coveted skylights. 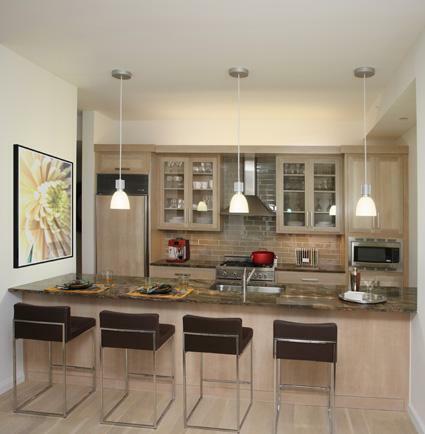 55 Thompson’s kitchens present oak cabinetry, large cutlery drawers, polished stone counter tops, stainless steal sinks, pullout bins, and state-of-the-art kitchen appliances including a Bosch stainless steal dishwasher; each luxury rental comes with a fully vented washer and dryer. 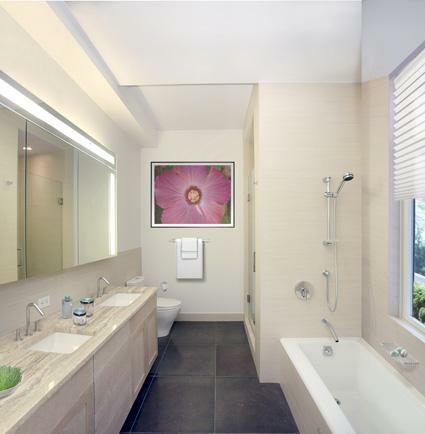 Serene bathrooms include oak vanities, fine stone counter tops, full wall mirror medicine cabinets, porcelain wall and floor tiles, and separate stall showers with frameless glass shower doors. In addition to the residence features, the building amenities include a 24 hour concierge. The concierge’s slogan, “If you can dream it, we can make it happen” is true to the services they provide. These luxuries include in-house catering and personal chefs, entertainment and recreation referrals, beauty and personal care, professional services, travel and transportation reservations, personal shoppers, and pet care, among many others. This Manhattan apartment for rent also includes a 1600 square foot rooftop sun deck, a state-of-the-art fitness center, and a bicycle storage room. Famed artists, photographers, and designers stroll the sidewalks outside these New York City rentals; the chic, relaxed atmosphere of Soho is well known for its nightlife and elaborate restaurants. From the stylish neighborhood to its grand building amenities, 55 Thompson of Soho offers a relaxing alternative to a fast-paced city lifestyle. I would like information on apartments in 55 Thompson Street. Please contact me ASAP.